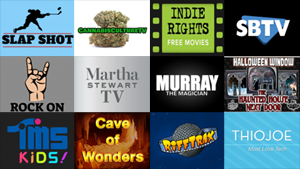 We reviewed 70 new Roku channels this week, with content in the categories of Comedy, Educational, Food, Games, International, Kids & Family, Lifestyle, Movies & TV, Music, News & Weather, Religious, Sci & Tech, Screensavers, Special Interest, Sports, Travel, and Web Video. We reviewed 70 new Roku channels this week, with content in the categories of Apps, Comedy, Educational, Food, Games, International, Kids & Family, Lifestyle, Movies & TV, Music, News & Weather, Personal Media, Religious, Sci & Tech, Screensavers, Special Interest, Sports, Travel, and Web Video. 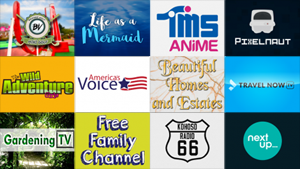 We reviewed 60 new Roku channels this week, with content in the categories of Comedy, Educational, Food, Games, International, Kids & Family, Lifestyle, Movies & TV, Music, News & Weather, Religious, Sci & Tech, Screensavers, Special Interest, Sports, Travel, and Web Video. Click on the links below for more details on each channel, including our exclusive channel reviews. Cordcutter News Brief - What's Coming to Netflix, Amazon, and Hulu in October; FuboTV rolling out Netflix-like design; 71% of US Consumers stick with the cord; Pluto TV adding 8 new channels; and more! In this week's collection of recent cord-cutting news items from around the web: What's Coming to Netflix, Amazon, and Hulu in October; FuboTV is rolling out a Netflix-like design; 71% Of U.S. Consumers Remain Loyal To The Cord; Pluto TV To Roll Out 8 New Streaming Channels; CollegeHumor Is Launching Its Very Own Subscription Comedy Service; and How Streaming Services Like Showtime and Hulu Combat Subscriber Churn. 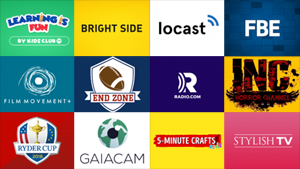 We reviewed 60 new Roku channels this week, with content in the categories of Apps, Comedy, Educational, Food, Kids & Family, Lifestyle, Movies & TV, Music, News & Weather, Religious, Screensavers, Special Interest, Sports, Travel, and Web Video. We reviewed 54 new Roku channels this week, with content in the categories of Comedy, Educational, Fitness, Food, Games, International, Kids & Family, Lifestyle, Movies & TV, News & Weather, Personal Media, Religious, Sci & Tech, Screensavers, Shopping, Special Interest, Sports, Themes, and Web Video. 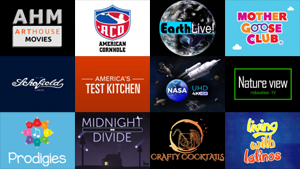 Cordcutter News Brief - Hulu adding Discovery channels, CBS All Access allowing downloads, Verizon's 5G home broadband to launch in October, AT&T plans a new Warner Bros. streaming service, and more! In this week's collection of recent cord-cutting news items from around the web: Hulu is adding Discovery live channels, CBS All Access is allowing downloads for offline viewing, Verizon's 5G home broadband to launch in October, AT&T plans a new streaming service using Warner Bros. shows and movies, Netflix argues that it isn't a video service provider, why Roku isn't afraid of competition from Apple, Google and Amazon, and more!